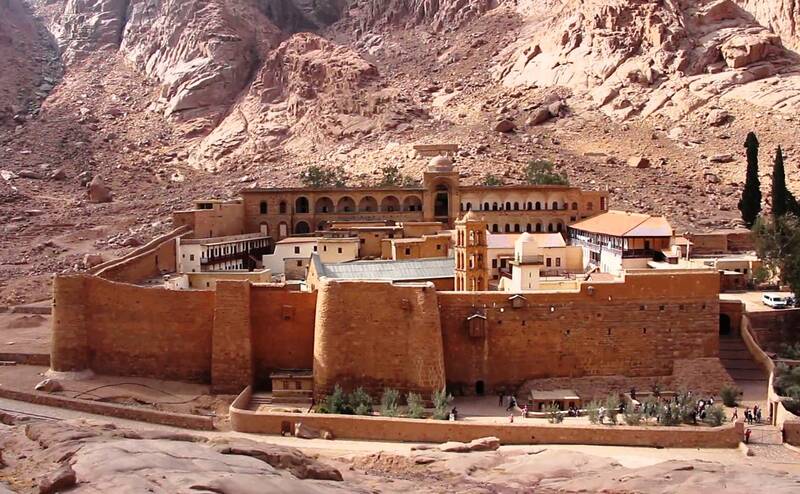 Local authorities decided to close down the Saint Catherine Monastery in the Sinai Peninsula, a UNESCO World Heritage Site, on January 5 and January 6, when Christmas church services are held according to the Orthodox calendar. [i] The general directorate of tourist police further ordered all tourist companies not to lead tours to the historic monastery. Built in the mid sixth century, the Saint Catherine Monastery is one of the oldest monasteries in the world; additionally, it has the oldest continuously operating library in existence, with many precious manuscripts. [i] Because most Orthodox Churches, including the Coptic Church, observe Christmas on January 7, church services are held the night before, on January 6, into midnight January 7.